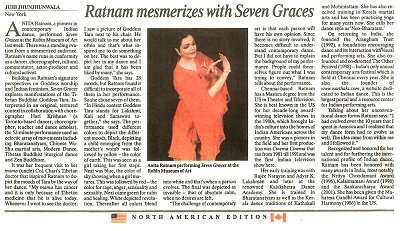 "amazing grace... an unexpected dance experience"
"Shimmering with an ancient storyteller's grace, Anita's solo on Goddess TARA was filled with both ordinary and transcendental emotions...In this sensual collage of visual and aural signification, Anita managed to keep the audience's attention intensely engaged at every moment." Ratnam's expression remains stark and undeviating in its exploration of the in-between areas in experience and feeling. an intensely moving experience - original and stunning. Anita Ratnam's Goddess is the fearless product of a contemporary imagination that does not hesitate to place the profound and hoary with the new and tacky. The overall effect is of meditative quietude, as if it were entirely played out in silence, even though there are sections of vigorous dance accompanied by jati recitation. This effect is probably as much due to the unbroken concentration of the dancer and movment flow as the soothing music scape. And what happens when a woman connects with Tara? The music, richly borrowed from a variety of musical instruments, created a feeling of unease and awe in succession. The cycle of birth and death, the notion of masculinity and femininity of a Goddess and therefore her image were remarkably crafted. 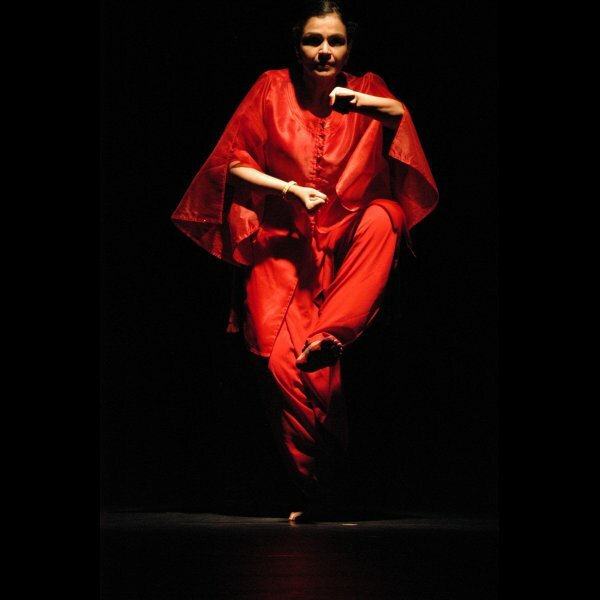 As Anita used the motif of Alapadma and Pataka, to negotiate the space between the male/female, inner/outer, woman/goddess principles displaying ferocity with compassion and joy with vigour, it was clear that the dancer had placed herself on a journey which will be singular but perhaps fulfilling. 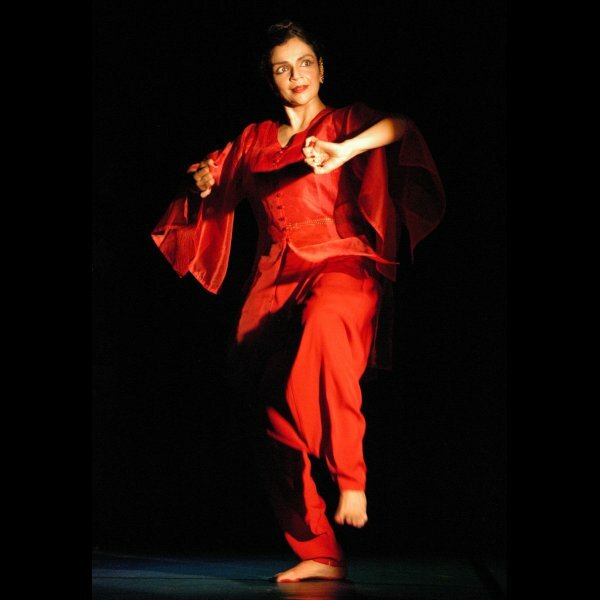 The world premiere launch of Anita Ratnam's new dance solo on August 17-18, 2005 at Sri Krishna Gana Sabha, Chennai met with an overwhelming response from critics and audience alike. Purely individualistic... unfamiliar and uncommon... personal statements giving visual interpretation to the cerebral pursuit of wisdom and learning... Like abstraction defies categorization, the collaborative work by Anita and Hari Krishnan could all be metaphors for the thought process gone through with their experiences in life. 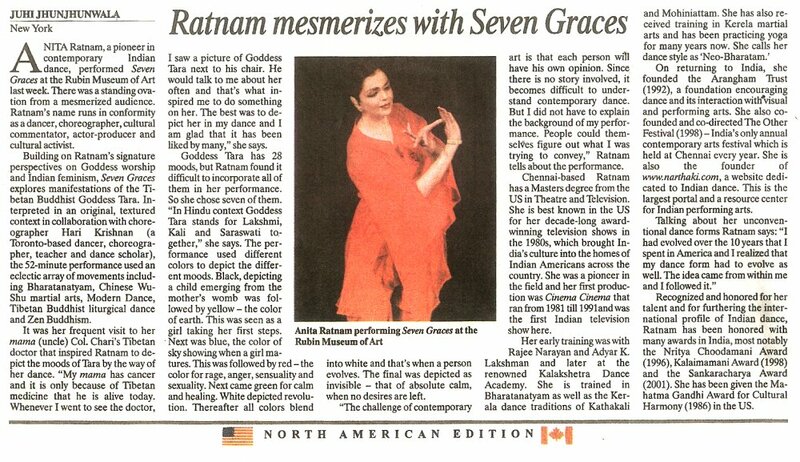 Intensely felt and portrayed, Anita Ratnam's "7 Graces"throbbed with deeply felt emotions and yet had a tranquility and grace that owed both to the movements and the music... the dancer's power of improvisation and creativity strongly came to the fore and her range of emotions engaged the audience. 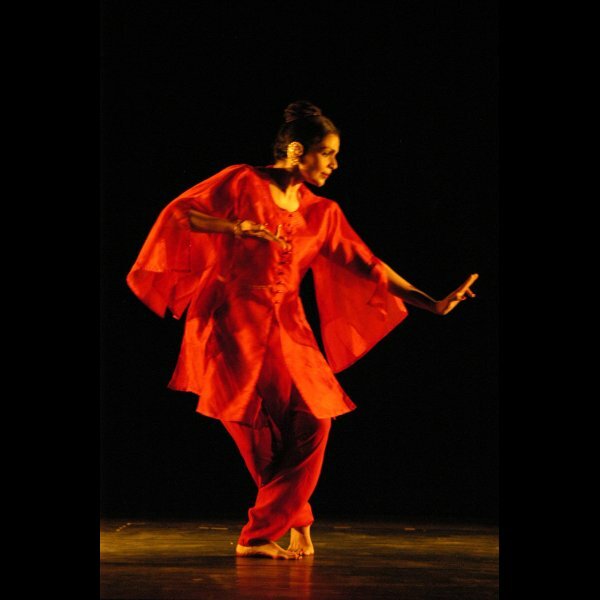 Poetry in motion... Anita Ratnam, the artiste and woman could be in touch with her emotions however raw they may be... "7 Graces" - an experience ranging from the chaos of emotions to the sublime calm of nothingness... the work inspired the audience to take the plunge and fall into a place where there are no conventional boundaries; where music, colour and movement blend into one. Anita Ratnam's solo presentation, "7 Graces", was marked by a blurring of boundaries between the esoteric and the universal... 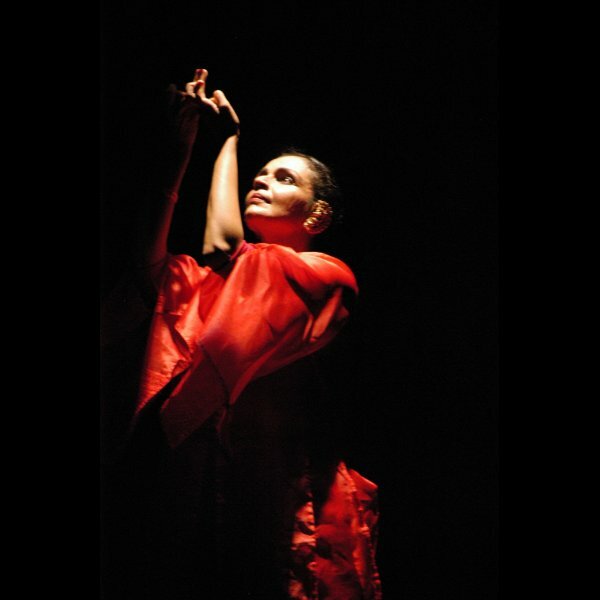 The essence of the Tara mythology served as a background over which was woven an experiential pattern... Anita and her collaborator, Hari Krishnan (inDance, Canada) deftly used eclectic textual bases and wove a narrative that was non-linear, non-descriptive and open-ended. For jaded New York eyes, this performance made me think again about art and life.